After playing seventeen games for Southampton, he moved to Southend United where he spent two seasons. He then had a season at Burton Albion, and then a term at Aldershot Town. His next season was at Gosport Borough before moving to Havant and Waterlooville for two years. 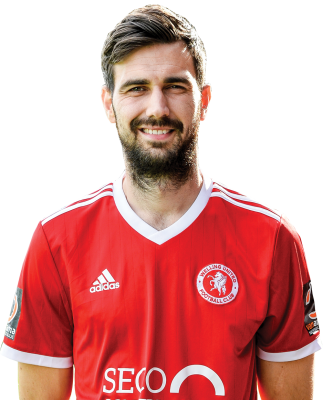 His next stop was at Oxford City, last season, and he moved to Welling United in October having notched 34 goals in 62 games for Oxford including one against the Wings in September.